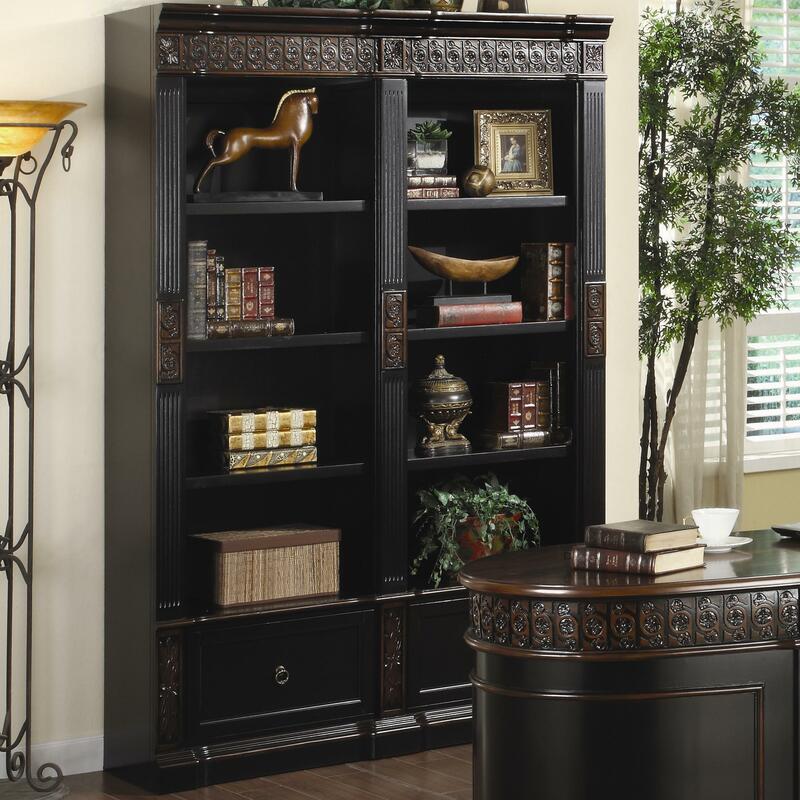 This elegant traditional bookcase unit will add stylish storage to your home office. 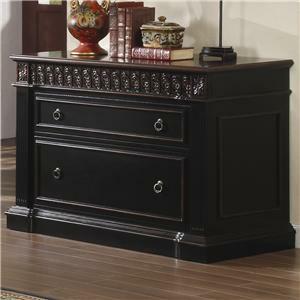 The large bookcase features rich details, including intricately carved floral trim, fluted molding, and a classic molding plinth base. 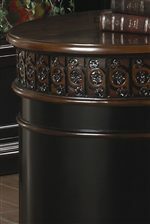 The two tone finish blends rich dark wood with a warm medium dark color for a unique look that will add depth to your space. 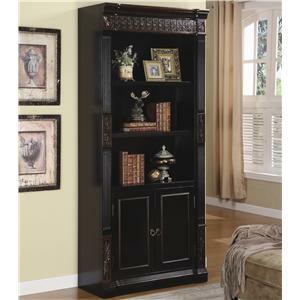 Eight spacious shelves offering plenty of space to store books, and show off your favorite decorative accent items. Two lower file drawers give are convenient too, so you can keep important documents in order. 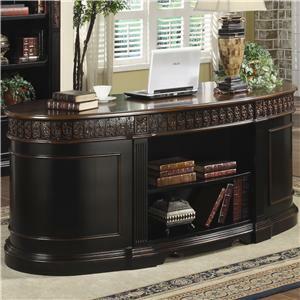 Use one, or bunch multiple bookcase units for a custom wall unit that fits your home office. 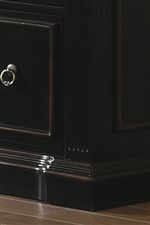 The Nicolas Traditional Carved Combination Bookcase by Coaster at Value City Furniture in the New Jersey, NJ, Staten Island, Hoboken area. Product availability may vary. Contact us for the most current availability on this product.